If you are all about the looks you are in for a hard time. The guiding role models work very hard to look like they do and they do it full time. They have also gone through a vetting process in which they have continuously shown that they are the best at killing a particular way. The odds are stacked against you. The main determinative for your success will be your diet. You will be hungry, tired and weak. This is the way for most to achieve that perfect beach body which you can grate cheese on. The choices you will make are neither healthy nor helping performance on the pitch. If you are all about performance you are in for the win. You will pick your exercises not based on how they make you look but how hard you can hit the competition. Diet becomes a supporting act to what you do in the gym. It’s not the main show. The main driver is intensity. You will push yourself to the breaking point in each session. Sometimes even beyond. This frequently leads to minor and sometimes major injuries. Your choices are not healthy or pretty but they get the job done. If performance and looks are not for you are most likely all about health. The choices you make are balanced. The extremes are avoided. Therefore burnouts and injuries are very unlikely to occur. At the same time, it is not surprising that you are not swimming with the stars. You also couldn’t be bothered. Life is good and we eat cake. As you are comparing Stronglifts and bodybuilding you probably try to decide whether you want to focus on looks or strength. Doing both at the same time usually leads to disappointing results on both. 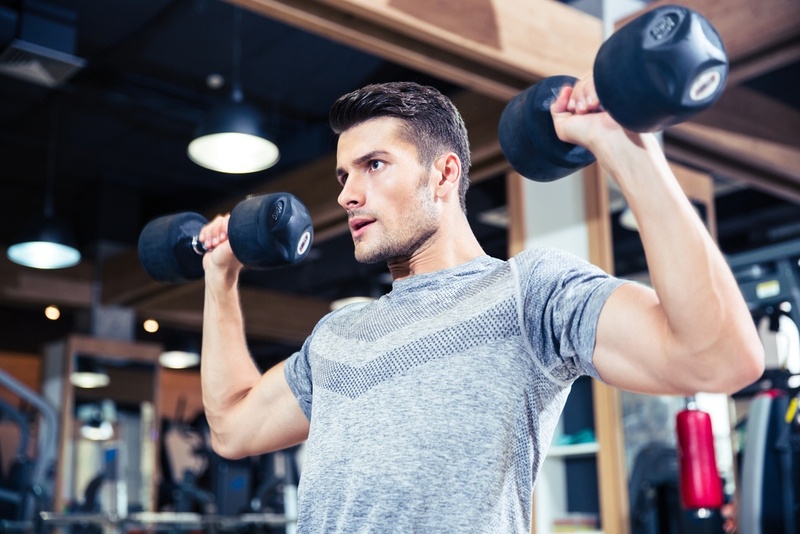 Stronglifts is one of the most popular lifting programs for beginners out there. Its middle approach between strength and building muscle is very appealing to beginners. You will squat each training day. All other exercises will be rotated. Apart from the deadlift, you will aim to complete 5 sets of 5 repetitions for each exercise. The deadlift is programmed in as 1x5. You start from an empty bar except for the deadlift and row. When you successfully complete the 5x5 you go up in weight. The Stronglifts app is a great way to track your progress. If you fail a weight three times in a row you deload. The biggest advantages of Stronglifts 5x5 are its simplicity and clear progression. You will never be guessing whether did good or bad on a workout. You will always know what to do next. This is a great set up for beginners and keeps you motivated. The biggest disadvantages of Stronglifts are its marketing and lack of simplicity. The marketing message makes it out to be easier than it is to get strong and ripped. You are lead to believe that these things almost happen by themselves when on Stronglifts. That might be true when you are an average teenage male whom the program is designed for. If you are extremely small or big and have not the metabolism of a fifteen-year-old you might not get the desired results. Bodybuilding has its high time when Arnold and Lou Ferrigno ruled the scene. This was before the drug scandals broke and everyone kind of knew that testosterone was being injected. Nowadays we are made to believe that athletes training for functional strength with calisthenics and CrossFit get similar results. This is of course without the use of performance-enhancing drugs. If you want to believe it. Bodybuilding is mainly about building a body up to certain standards. In most categories, the goal is to build the biggest, most defined and symmetric physique possible for your weight class. This is, of course, a blatant generalization but it helps for illustrative purposes. The main advantages of bodybuilding are that it pays attention to perfect execution and putting on mass. Short term injuries for beginners are therefore less likely as you work at lower intensities. The biggest disadvantage of bodybuilding is that it pushes you down the path of using illegal substances very fast. It starts with powders and pills which are made out to be harmless. Once you get in the routine of taking these the concentration of the stimulating substances in these powders and pills is ramped up. When that is not enough anymore you start bypassing the digestive system by injecting directly. First of all the comparison is a bit off. If you compare bodybuilding with anything it should be with another sport like weightlifting or powerlifting. Stronglifts is a program that is more effective for the sport of weightlifting or powerlifting than bodybuilding. The rep scheme and exercises are more specific to these sports than to bodybuilding. Based on your goals you can enter the realm of bodybuilding, powerlifting or weightlifting. If you are mainly interested in looks go with bodybuilding and a split routine. If your main focus is performance opt for Stornglifts to lift heavy. This is why it is important to get your priorities straight.